According to the Ministry of Agriculture and Rural Development, export has faced difficulties since the beginning of this year, of which agro-forestry-aquatic export turnover reached US$5.5 billion in the first two months of this year, a decrease of 1.6 percent compared to the same period last year. However, amid difficult situation, export of aquatic products hit $1.11 billion, up 4.4 percent year-on-year. Aquaculture is considered as a highlight of agriculture industry and expected to make impressive performance this year with an export target of above $10 billion. Although export of aquatic products has posted growth since the beginning of this year, the prices of pangasius fish in Mekong Delta provinces have continuously declined, concerning farmers and exporters. Many pangasius fish farming households in the Mekong Delta said that the prices of pangasius fish bought by factories dropped to VND23,500-VND24,000 per kilogram, down VND5,000-VND5,500 per kilogram compared to those in the beginning of this year. With such price level, farmers almost earned no profits but were only able to break even. A slump in pangasius prices caused by sluggish export and high pangasius fish production which made factories hesitant in buying more fish. Therefore, authority warned that fish farmers should be cautious and should not expand fish farming area and increase production massively at this moment so as to prevent an excessive fish supply which drags the price of pangasius fish down further. Along with pangasius fish, shrimp is key product of aquatic export. 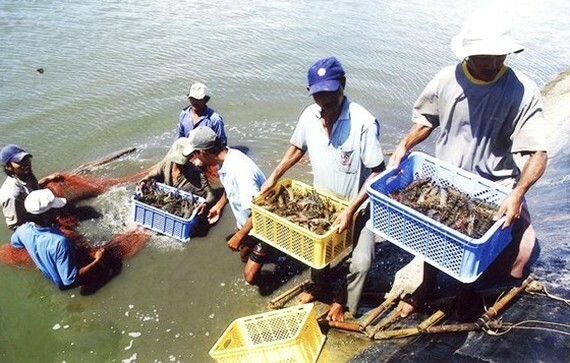 The current price of 30-count-per-kilogram tiger shrimps fluctuated at VND300,000 per kilogram and that of 100-count-per-kilogram white-leg shrimps was at around VND80,000 per kilogram. Basically, farmers have profits with the current price level. According to Mr. Nhu Van Can, head of the Department of Aquaculture under the Directorate of Fisheries, total brackish shrimp farming area exceeded 736,000 hectares nationwide last year, up 3 percent compared to the previous year. However, shrimp exports merely touched US$3.6 billion, down 7.8 percent year-on-year. Vietnamese shrimp has not brought into play its potential and strengths and has not been able to compete with its rivals, consisting of India, Thailand, Ecuador and Indonesia, in global market. Shrimp farming industry still copes with several difficulties that need immediate resolution, such as juvenile shrimp supply, high feed cost, chemical residues in shrimps and poor farming infrastructure. In addition, competition has become more cutthroat with several technical barriers being built and stricter control on quality and food safety. Despite adversities, the Vietnam Association of Seafood Exporters and Producers still hopes for an export turnover of $10 billion for aquaculture, of which shrimps and pangasius fish play the key roles. In order to achieve the target, firms should increase production of value-added products that are not imposed antidumping tax and meet the requirements of the Seafood Import Monitoring Program of the US to make Vietnamese shrimps different from those of other exporters. As for European market, Vietnamese shrimp producers should divide it into two consumption tendencies, of which countries in the Southern Europe and Eastern Europe regions do not demand shrimps with ASC certification. Meanwhile, other remaining regions firms should choose shrimps that meet ASC certificate to export so as to gain the highest export value. 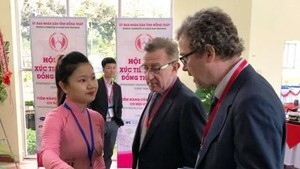 China is a large market with great potential for Vietnamese shrimps. Chinese market has paid more attention to food safety and product quality; hence firms should diversify their ways of processing and exporting and promote official sea export to major cities to increase export turnover in Chinese market, said Mr. Truong Dinh Hoe, general secretary of VASEP. According to Mr. 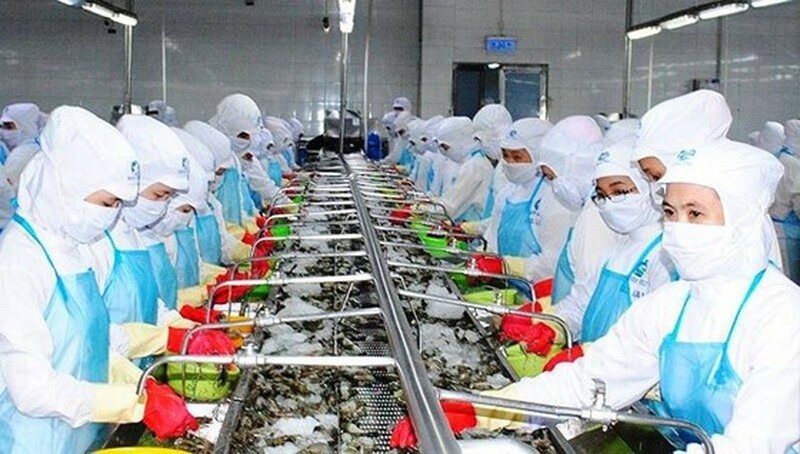 Hoe, Vietnam should take advantage of the free trade agreement to turn the EU into the main export market of Vietnamese shrimps with turnover of $1 billion. Meanwhile, shrimp exports to other five markets, consisting of North America, Japan, China, South Korea and Australia should reach $3 billion in order to achieve the goal. Although the price of pangasius fish currently is on the decline, it is said to have entered stable development trajectory. Accordingly, despite technical and trade barriers, there are no signs of downward consumption. Even measures to impose antidumping tax in the US market signal that consumption demand is rising. Based on that, the MARD expected pangasius fish exports to hit $2.4 billion this year, up 12 percent compared to the previous year. Mr.Doan Toi, CEO of Nam Viet JSC, said that the price of pangasius fish exported to the US market hit a record high of $5-$6 per kilogram thanks to the efforts of farmers and exporters for years. However, farmers should not expand farming area as well as increase production but to supply at sufficient level or even lower than market demand in order to keep pangasius fish price at high level. This requires accurate market forecast, reasonable management of authority and cooperation of business community. He suggested firms to produce more small-size fillet and butterfly-cut pangasius fish products to diversify consumption market, quickly recover export to the EU market and expand new markets, such as India. In addition, Vietnamese pangasius fish needs advertising more widely around the world. Agriculture minister Nguyen Xuan Cuong said that pangasius fish industry has been showing good performance. Pangasius fish products have become more diverse with more than 80 varieties, of which there are products with high value. In order to develop sustainably, the industry needs to focus on investing latest technology from farming to processing. As for shrimps, the industry should encourage farmers to join cooperatives or cooperate with firms and head to mass production.